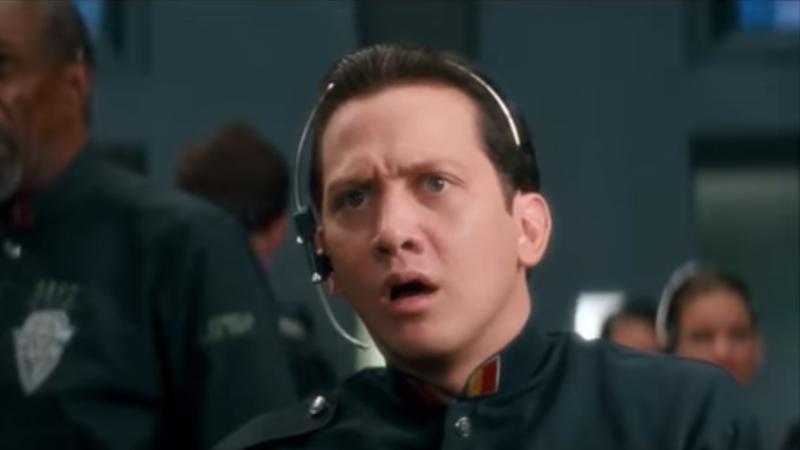 Rob Schneider is especially disappointed. In the annals of action cinema from the ’90s, you’ll find a bevy of kinetic marvels that can still dazzle today. You’ll also find the 1993 movie Demolition Man. You will not, however, find a sequel to that deeply stupid but weirdly enjoyable film. And for that, it seems, we might have Meryl Streep to thank—or not thank, as the case may be. Sure, there’s the slight possible that the whole Streep idea was a fleeting fancy generated by a four-martini lunch and forgotten immediately afterward. But we’re going to stick to the much more vivid idea that Meryl Streep ruined the possibility for a fantastic sequel to a mediocre and campy Stallone vehicle. So thanks a lot, Meryl Streep. Enjoy cashing your fat paychecks and sneering at those of us who just want to see some thoughtful arthouse cinema with a name like Demolition Man 2: Demolition Daughter. You don't know how to use the three seashells? !